The city of Madras, the old name of present day Chennai, has already shown up on these Chronicles as the home of the Indian manufacturing plant of Pilot. That center closed down in 1978, but that did not mean the end of pen production in the city. The stationery shop Gem & Co. from Chennai produces its one line of pens under the brand name Gama. The company started business in the 1920s as importers of pens and pen parts from Great Britain, and around 1950, the brand Gama was launched. Today, Gem & Co. makes mostly eyedropper pens in ebonite. Some other materials such acrylic and vegetable resin are also used. Occasionally, high-end models implement German nibs by JoWo, and can be inked with cartridges and converters. It is indeed not clear how many different models there are currently on production. The basic reference as of today, seems to be the website if the stationery merchant Asa Pens. On it we can check some of the Gama models, but the selection is likely to be driven more by the current stock than by the actual catalog of the manufacturer. It is also possible that being Gem & Co. a small company, models and variations were subject to small productions and quick changes. 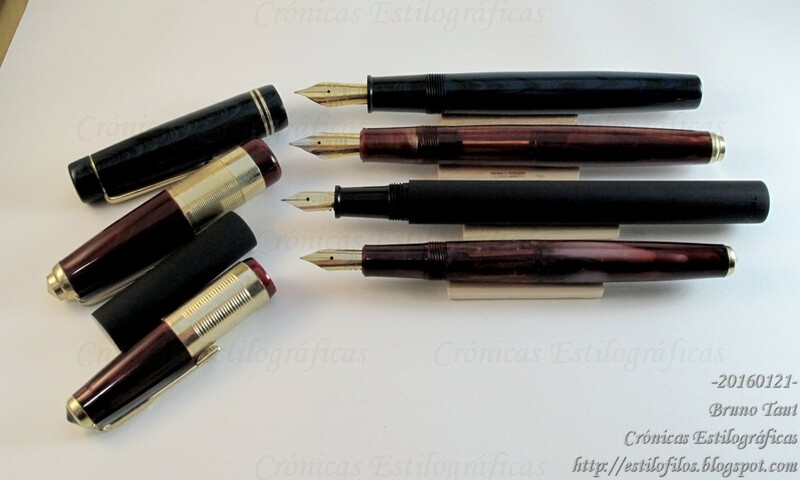 Four of the pen models by Gama. From the top, the first and the third are made of ebonite; second and fourth, of plant polymer. All of them are eyedropper pens. The model named Forever, nonetheless, seems to be a stable pen within the catalog. This is an ebonite eyedropper pen, with a steel nib. It is a fairly large pen –146 mm long when closed— that holds about 2.5 ml of ink in its barrel. The Gama Forever in blue and black ripple ebonite. Steel nib in size 6. Ebonite feed. 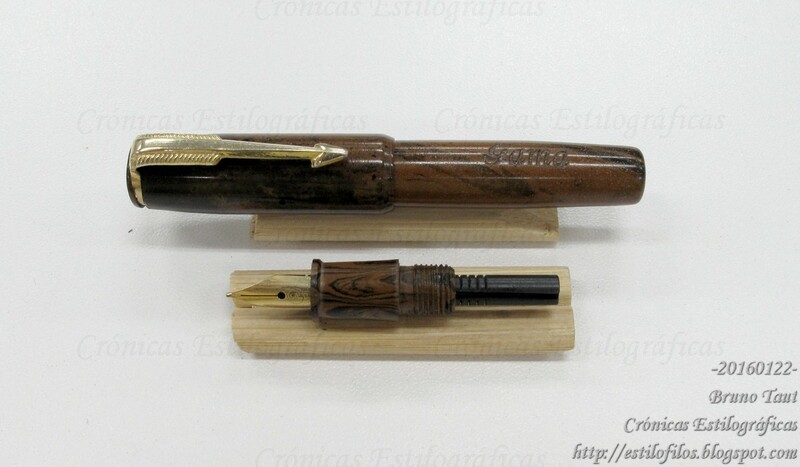 On the other end, we can find a very small pen: 69 mm long (closed) and less than 6 grams in weight. This is also an eyedropper made of ebonite. 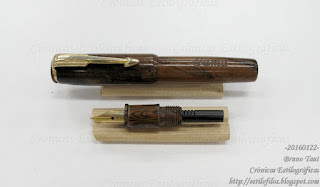 The very small model of Gama pens. The total length is 69 mm. Again, an eyedropper made of ebonite. Two other pens shown on the pictures of this text are eyedroppers, but they are made of some kind of plant polymer (vegetable resin, some call it) that has a very distinctive smell. These come with steel nibs of sizes 5 and 6. A Gama pen made of plant polymer. Eyedropper, size 6 steel nib. This pen has an ink window that can be a source of ink leaks. Finally, there is another pen, black in color, about which I will speak extensively on another text.